Registration is CLOSED with 235 Entries! 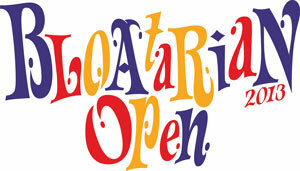 The Bloatarian Open is a BJCP/AHA sanctioned Club-Only Competition. You must be a paid-in-full BBL member to enter your beer into the competition. Members in good standing can enter an unlimited number of entries in the competition with no further entry fees. Not yet a member? Go to https://bloatarian.com/about/membership to join. This year’s competition will take place on Saturday, May 18th at the Norwood Community Center from 9am to 5pm with awards ceremony about 5:30pm. Judges and Stewards please arrive before 9am to check in and be ready to judge. We will have donuts in the morning, grilled lunch fare and snacks during the awards. WIN A $20 LISTERMANN’S GIFT CARD! You may also HAND CARRY your entries to the competition on Saturday morning (especially if you have kegs). If so please arrive by 8:30 to allow timely check in! !